Do you dream of empowering, inspiring, motivating and helping people with your message? Do you see a problem, that you just know with every once of your heart and soul, that you can help with? Would you like to sit with a real person who knows how to write and self-publish a book? I can help you write and self-publish your book. I am Mark Mikelat, and I would love for you to share your message with the world in the form of a book. You owe it to yourself, and the people around you to share your story. I can help you do that in my book coaching program. Writing a book is hard work, I know. I have written and self-published two books. Now I help other people do it. You can do it, and you should do it. It creates your legacy and establishes your expertise. Once you author your book, you become an author. You will forever be an author. You can leave your mark on the world in a powerful way. Your book is a message, and it can be just the start of your vision. 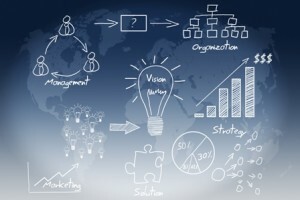 Because it creates and documents your expertise, it establishes a foundation for a host of additional products. 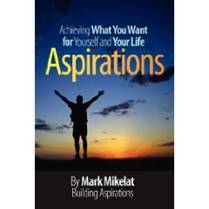 My first book, Aspirations, took over two years to write. Why? It did not know what I was doing! My second book, 50 Tips for Effective Networking, took 90 days from idea to having them in my hand. Why? I had learned the proper way to write and self-published a book. The second book, which was easier to write, and much, much shorter, sells by the case! A college might buy 100 copies for a career services conference, and then they might have me speak at the event as well! You see the power?! And, not only am I making money, but I am helping 100s of college students with their career development at the same time. I win. The college wins. The students win. Everybody wins. Win. Win. Win. Win. This could be your success story. And, OH MAN, does it feel awesome when you see your completed book! WOW! I cannot even express how fantastic that is. And, holy cow, the first time that somebody asks you to autograph YOUR book, you will just about jump out of your skin! You MUST write your book. You owe it to yourself to share your story. The fears listed above are real and there are many more that I could have listed. I can address those fears one, by one. I have learned through blood, sweat and long hours what works and what does not. If you want it, if you really want it, you can make your book incredibly successful. I want to help you achieve that success. We start with excuse busting. 1) Writing a book is scary! I help you address your fear. 2) I do not know what to do. I have a step-by-step plan that makes it easy. 3) Nobody will want to read my book. If people have ever listened to your words, they will want to read your words. 4) Book writing is a lot of work. You will not write a book. You will write 1 page at a time. 5) I am not a good writer. Neither am I. This is why there are editors and proofreaders. 6) I do not have anything important to say. If you have ever helped anybody in any way, you have something to share with the world. 7) I do not have the time. I have several strategies for the time challenged. 8) It is too expensive. Once you sell your books, this coaching and publication pays for itself. Everything in your life was intimidating the first time you did it. 10) I have never written anything. Writing is basically talking but on paper. If you can speak, you can write. I want you to share your story, so we work together in the coaching program to bust through these excuses and any others. I want you to write your book. We need to make sure that this is right for you. You will write your book. I coach you through the process. First, we have a short call so that I learn about your vision. In this vision discovery session, we focus on your message and how I can help you share it. Our first conversation is very direct, very concise and very focused on you. There is no charge for this first session. There is a short questionnaire for you to fill out before our call so that we can be very productive. The program includes 6 phone sessions or 6 months, whichever comes first. For example, we might speak once a month. Each session is 60 minutes. Can you do everything you need to do in six months? Yes, but it is up to you, your time management skills and your level of commitment. If you need another six months, then we can renew. I wrote one of my books in 90 days, so this is definitely doable. Unlimited email support is included in this offer. 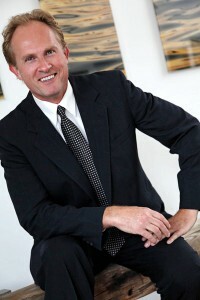 I want to help you in between sessions as well, so if there are quick questions; no problem, I will answer them. Ok, Mark, Great, but how much does this cost? The fee for this program is $1250 USD. Why it is so inexpensive? Yeah, I agree, the fee is way too low. Grab it now, before the price increases. (Hint: 100 books sold at $20 a book is $2000) Do you see the value? Are you ready? Great! You can pay online right now. Do you need more convicing? 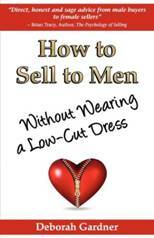 I served as Deborah Gardner’s book consultant to publish, market, and distribute her book, How to Sell to Men Without Wearing a Low-Cut Dress . This well crafted book serves as a powerful motivational tool for sales professionals in the hospitality industry. We even pre-sold copies of the book before it was fully written. The book was profitable before it was even completed! I want you to be an author. This is a powerful way to market yourself, your business and your product. 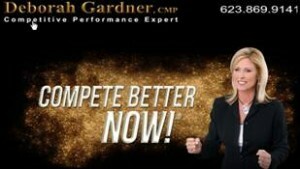 This is a strong credibility builder, and some of the best marketing material that you can ever create. It documents to the world that you are an expert. Kathleen’s book writing story is also a powerful one. 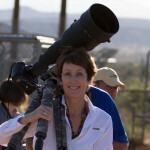 She is an award-winning wildlife photographer with a powerful compassion for the animals she photographs. 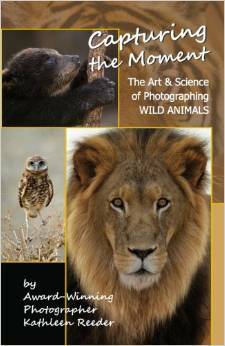 Kathleen, of Kathleen Reeder Wildlife Photography, came to me because she wanted to write a book about photography. She wanted to educate people to take great photos, but more importantly, she a burning desire to share the majesty of these animals and her love of wildlife with other people. Her incredibly successful book was just part of the success story. It was really the launching pad for additional products and services: more ways to share her message. ● Dealing with writer’s block! ● Everything except ‘writing’ your book. Do you know how to address all of this stuff? You need to focus on writing your book. You need to share your story in a powerful way that engages the reader and allows them to understand and embrace your message. If you spend weeks figuring out the cover design or other items, that is time and effort stolen from writing the book. These tasks need to be done, but let me help you with them as your book coach. You need to focus on writing your book. I help you turn your idea into a reality. I make you an author. As of right now, we do not have a financing or payment plan. Also, because this is 100% customized to you, we cannot accommodate refunds. We are sensitive to the needs of changing schedules, so we can accommodate rescheduling for an administrative fee of $100.